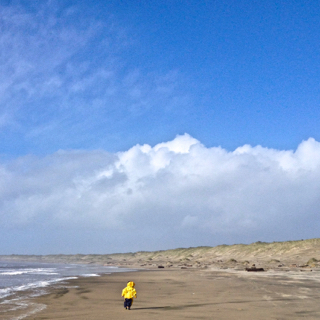 Seal Rock, Oregon is a great place to stay a few days for exploring the central coast of Oregon. 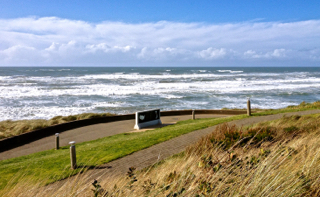 Within 20 miles to the north is Newport, Depoe Bay and Lincoln City. To the south within 20 miles is Waldport, Yachats and Florence. 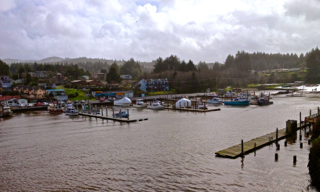 Today I went north as far as Depoe Bay with the world’s smallest harbor. 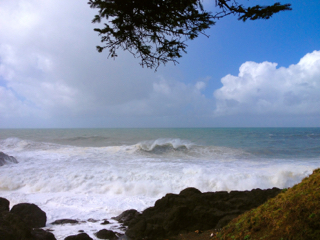 Stopped at Rocky Creek Wayside to watch the frenzied waves. Walked the Vietnam Memorial Walk down to Newport Beach. Watched a little one at South Beach state park enjoy his first trip to the ocean. Such wonderful adventures you have. That little guy looks like he is having a great time. Every few minutes he would just stop and stare…..like he was absorbing the whole experience. I switch between my Olympus and my iPhone. Do you see a difference? I think the Olympus takes sharper pictures. You do have a great telephoto zoom lens. I wish I had one. My Nikon takes great pictures but I don’t have a zoom lens for it. I bought another camera with a zoom built in but it does not take as good pictures as my DSLR camera. Then I have a little pocket Canon camera that I carry but it hardly has a zoom but if I want a picture, I have it in my purse. The pictures are not that great with it but at least it is a picture. I do the same thing; always carry something to at least get a picture. Yes, definitely. When there’s rain or extreme wind with ocean spray, I tend to leave the camera in the car.